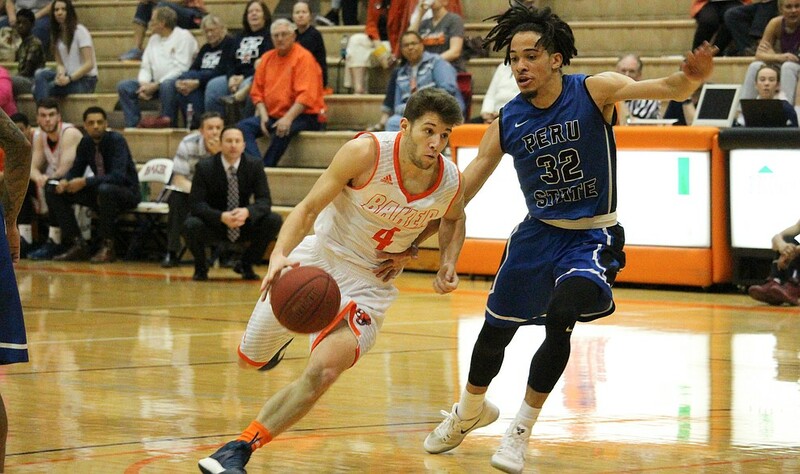 The Baker men’s basketball team fell in overtime to Peru State College, 98-95, on Saturday in the Collins Center, dropping the Wildcats to 14-14 on the season. The Wildcats forced overtime by coming back from an 11-point deficit with just 3:28 to go in regulation. Tyrome Parker tied his career high with 27 points, leading the charge for the Wildcats. Tyree Peter scored five of his nine points in the final stretch of the second half, making two free throws to tie the game at 79-79 heading into overtime. 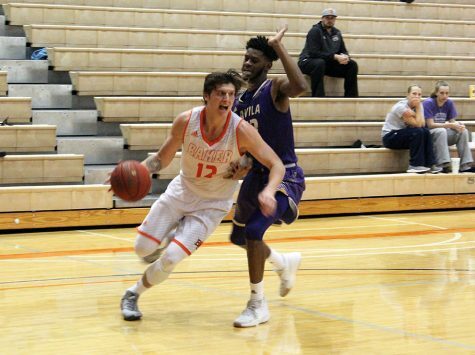 The Wildcats were forced to keep up with a high-powered Bobcat offense that shot 51 percent from the floor, including 13-26 on 3-pointers. The free-throw line was a big factor for Baker, as the Wildcats shot 31-39 in the game. The game started on a 9-0 Bobcat run, with Peru State maintaining control throughout most of the first half before the Wildcats made a late rally to take the lead late in the first half. The game was tied 39-39 at halftime. In the second half, the lead grew to as high as 14 for Peru State when Rashad Brackeen’s 3-pointer gave the Bobcats a 73-59 lead with 6:53 remaining. 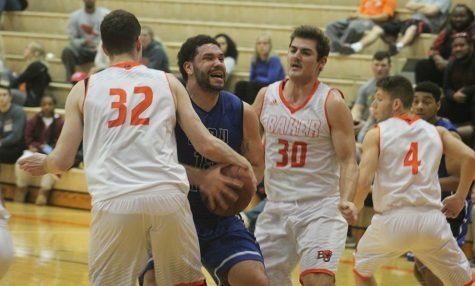 Brackeen was the standout player for Peru State, scoring 31 points and hitting seven 3-pointers. 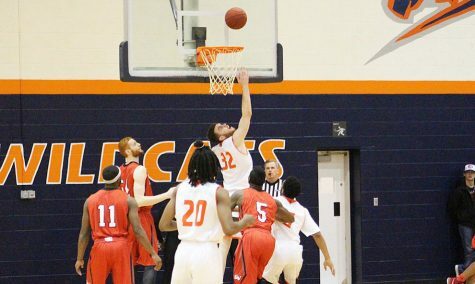 Both offenses were hot in the overtime period, as the Bobcats outscored the Wildcats 19-16 in just a five-minute span. Brackeen had 11 points in the extra period, and Parker had seven for the Wildcats. Brock Mick, Nate Guscott and Dan Young all scored in double figures for the Wildcats, with Mick’s 17 being a career high. 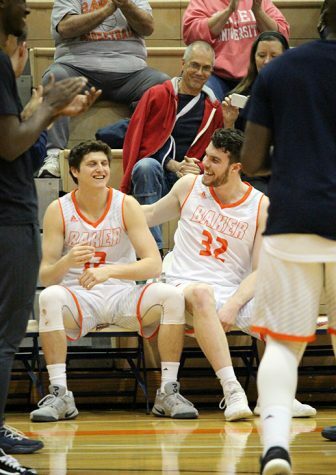 The Bobcats were able to bring their conference record to a tie with the Wildcats following Baker’s third straight loss, all coming by three points or fewer. 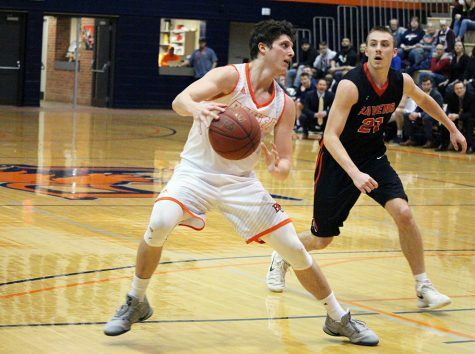 The Wildcats are now 11-13 in the Heart of America Athletic Conference, in a three-way tie for eighth place with Peru State and Missouri Valley College. The final two games for the Wildcats will be tough, facing two top-five teams in the conference. 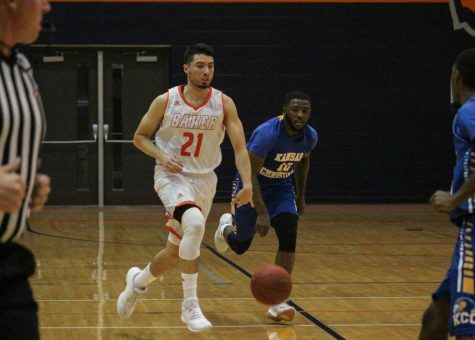 They will be traveling to Lamoni, Iowa, to take on Graceland University at 7:30 p.m. Wednesday before the Wildcats’ senior day game at 2 p.m. on Saturday against No. 24 Grand View University.